Hawkeye is one of the latest to join Marvel’s Cinematic Universe, and according to Variety, Disney’s new streaming service, Disney+, will be developing a new limited series based on the Marvel character with Jeremy Renner. Although Marvel and Disney declined to comment, the series is said to be adventurous. Hawkeye, who is played by Clinton Barton is passing the torch to Kate Bishop. Bishop is a member of the group known as the Young Avengers. She also took up the Hawkeye mantle after Barton. 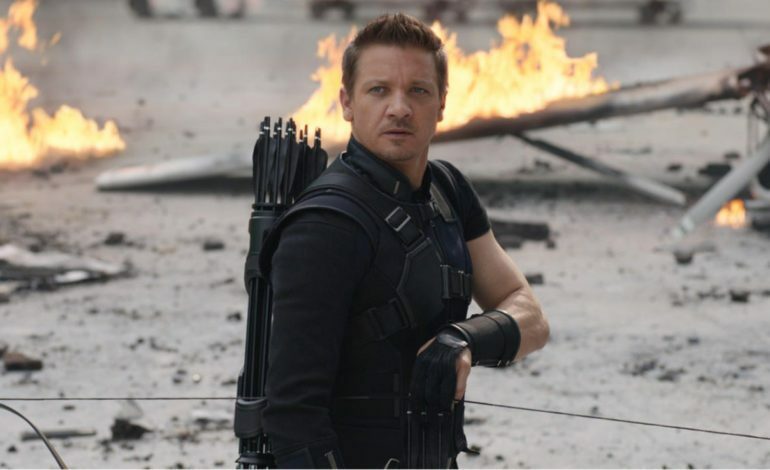 Renner has a history with MCU since first appearing in Thor as Hawkeye. Since then he’s played in Captain America: Civil War, Avengers, Avengers: Age of Ultron, and he is set to appear in Avengers: Endgame which goes to theaters April 26. Renner is also known outside of Marvel for films such as American Hustle, The Town and The Hurt Locker, which landed him an Oscar nomination. Netflix once had its own Marvel TV Universe with shows like Jessica Jones, Luke Cage, and Daredevil, but with the upcoming launch of Disney+ those shows were cancelled. However, there are also other limited series with Disney+ that are in the works. These shows will focus on MCU characters like Loki, Vision, and Falcon. The series is expected to be six to eight episodes long and also expected to have large budgets. Marvel Studios along with Kevin Feige, who’s been with MCU for years.